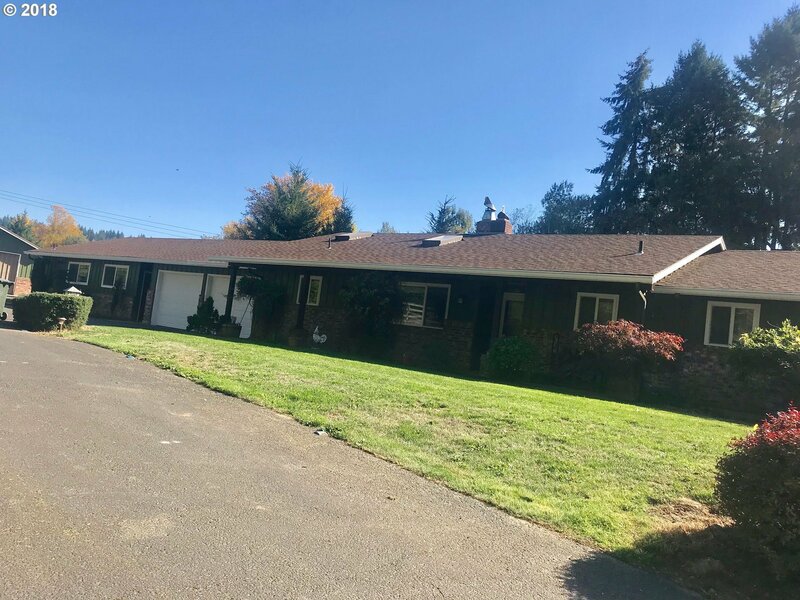 Private setting, One level ranch has 2 car attached garage and a separate entry* office/guest quarters/2nd family (no kitchen). *Now being used as a TV room. Private airport home - with access to Dietz Airpark OR40 includes 2 large hangars and 2.39 acres. Lovely property is private and secluded. Fly Home! Selling Office: Oregon Realty Co.